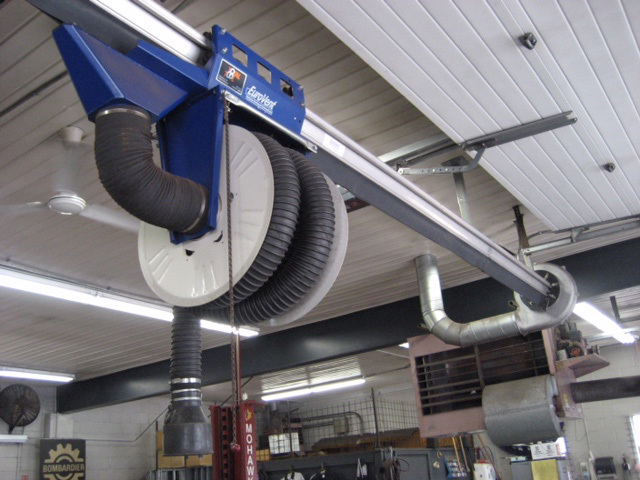 Eurovac has become the specialists in dust and fume extraction for North America and vehicle exhaust fume extraction is no exception. Eurovac offers a complete line of vehicle exhaust products for every budget and need, ranging from economical hose drop systems to more user friendly and impressive system options such as spring return hose reels, motorized hose reels and sliding suction rails. When you call on Eurovac for your vehicle exhaust needs, you are calling on trained professionals that will do the job right the first time. Whatever the application (car dealership, transit facility, equipment repair facility), Eurovac is your source for source capture vehicle exhaust fumes. You can learn more about Eurovac’s complete line of vehicle exhaust removal systems by visiting their website. Model #EV-5100. 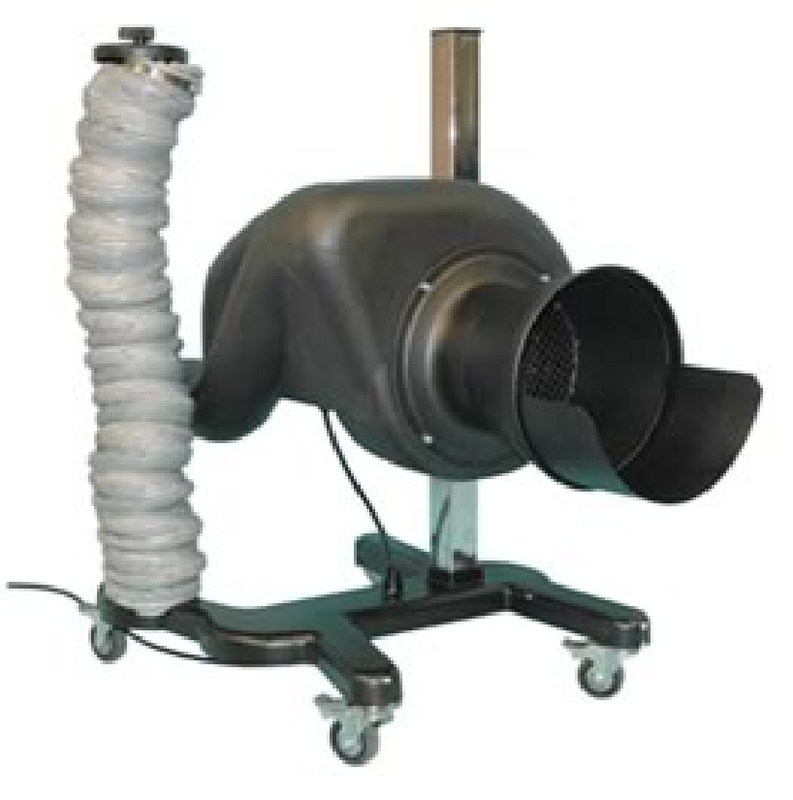 This easy-to-use portable exhaust extraction system is a practical and affordable solution for effectively removing toxic exhaust fumes from auto repair facilities, motorcycle shops, small engine repair shops and other work areas where toxic fume removal is needed. Eurovac Exhaust Hose Drops are designed for the extraction of car and truck exhaust gases at the tailpipe which are emitted inside buildings. 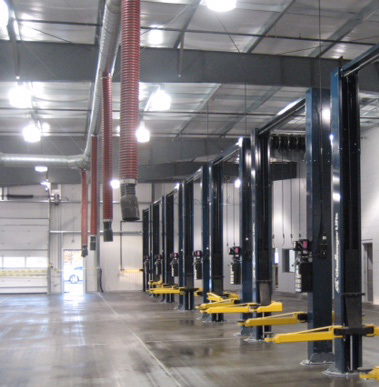 Our hose drops are designed for facilities such as vehicle service garages and vehicle storage garages as well as hard to reach areas for many other types of fumes and gases. Eurovac exhaust hose drops can handle various sized hoses (3”, 4”, 6” and even 8” hose) with lengths as long as 33’ and hose temperature ratings as high as 600 degree depending on the vehicle exhaust application. The Eurovac exhaust hose is supported by a rubber hose saddle that is attached to a spring return ratchet locked balancer. Eurovac also offers an extremely economical solution to vehicle exhaust with a rope and pulley method of retracting the hose up off the ground. The inlet end of the flexible hose may be equipped with different types of nozzles which adapt to the tailpipe.